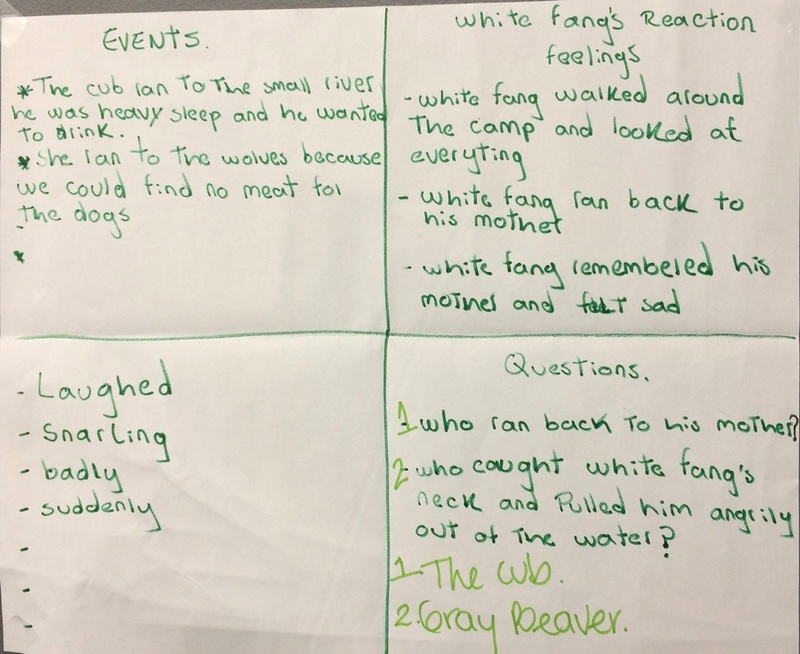 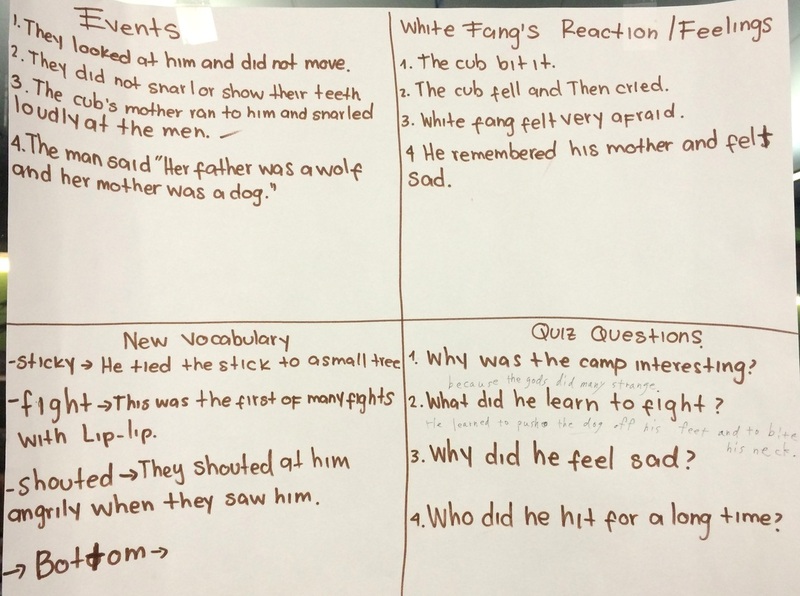 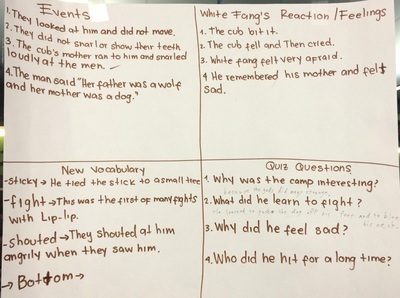 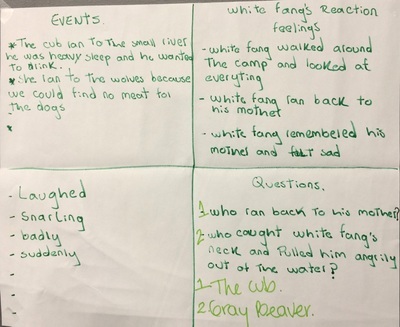 This semester we read White Fang (Penguin Reader). 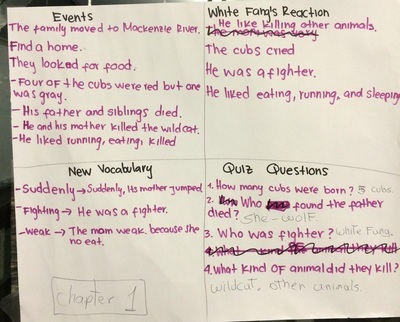 Students read on their own at home. 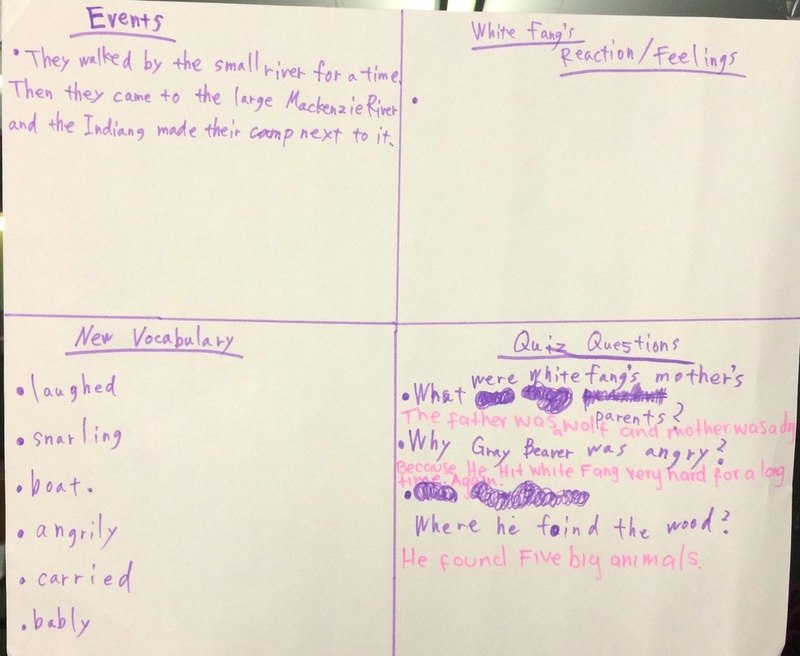 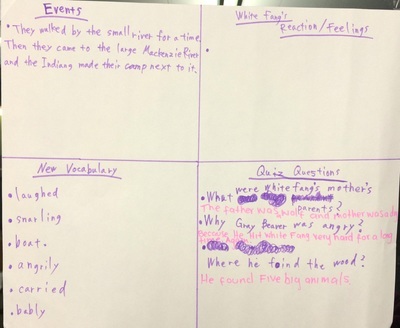 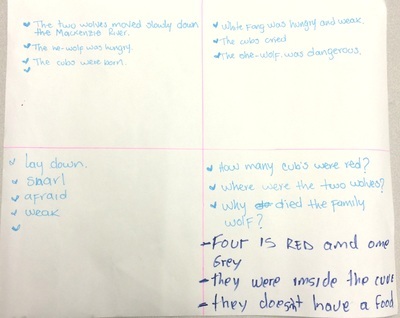 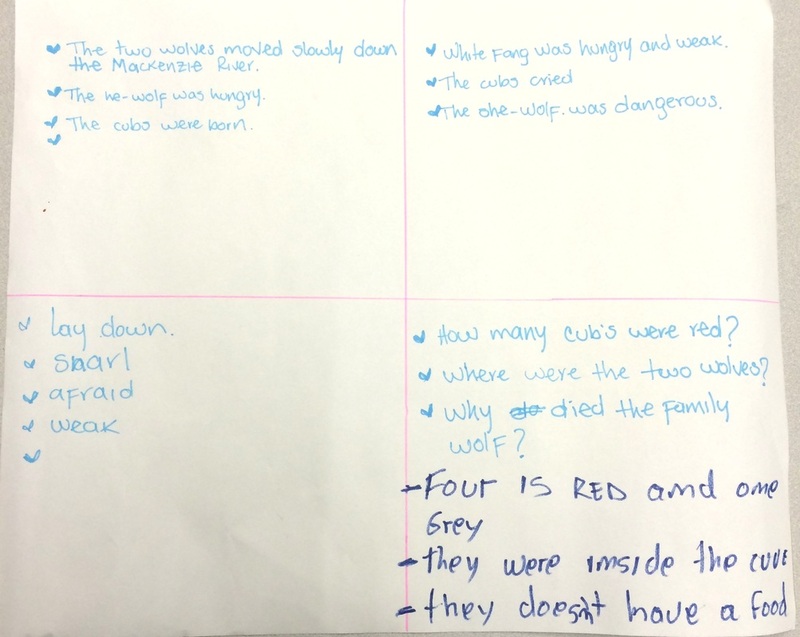 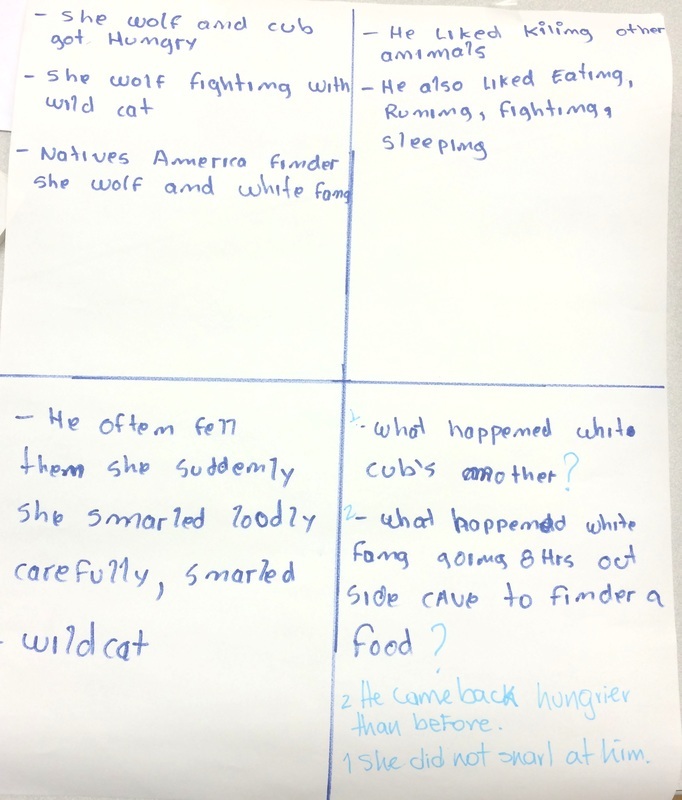 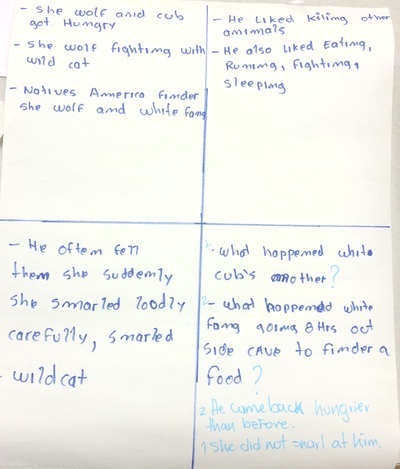 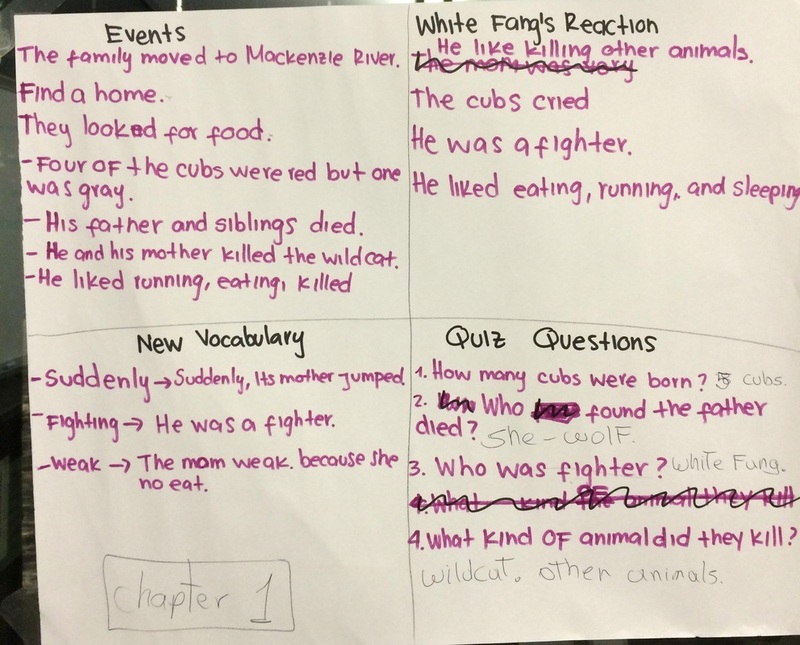 Each week, students discussed the story in groups and created story maps. 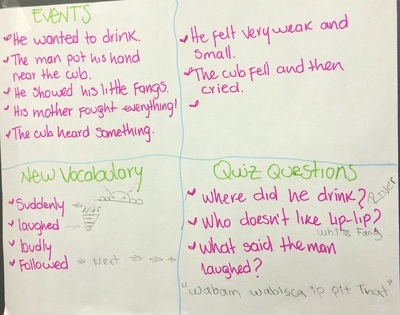 They documented main events in each chapter, new vocabulary, and wrote quiz questions for other groups. 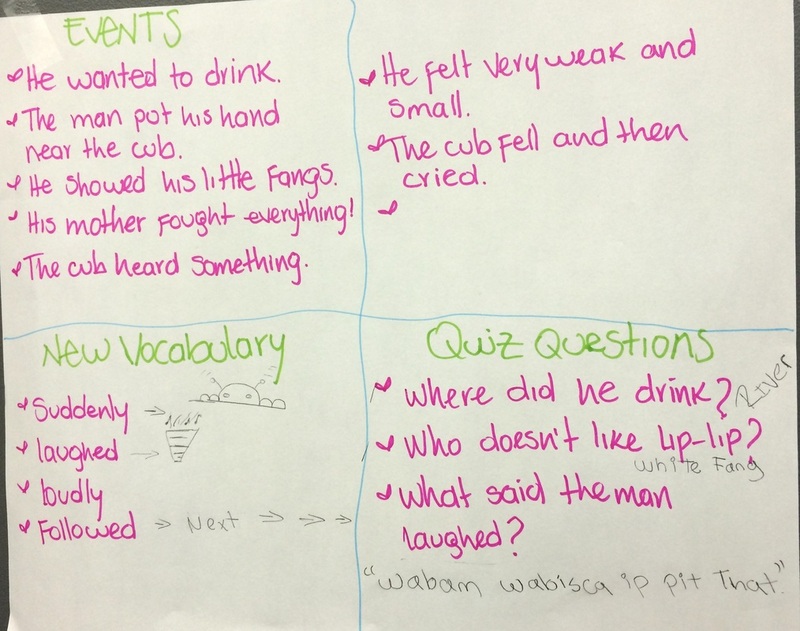 Throughout the semester, students were asked to write essays, do peer conferencing, and rewrite essays incorporating teacher and peer feedback. 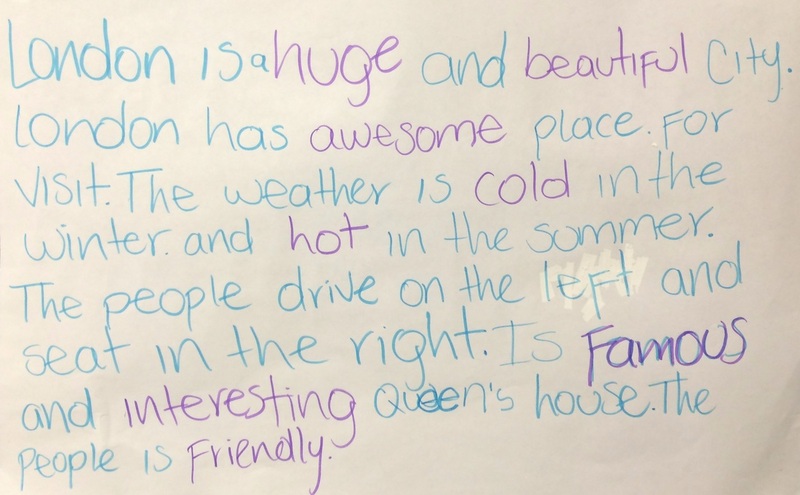 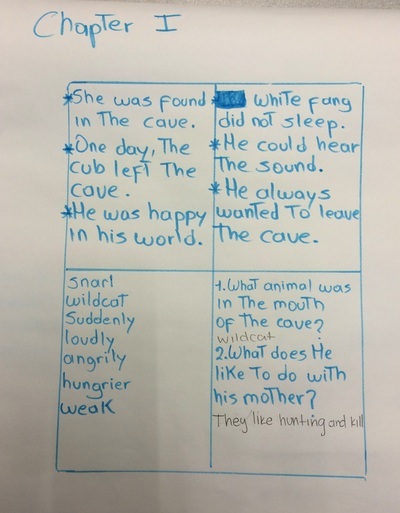 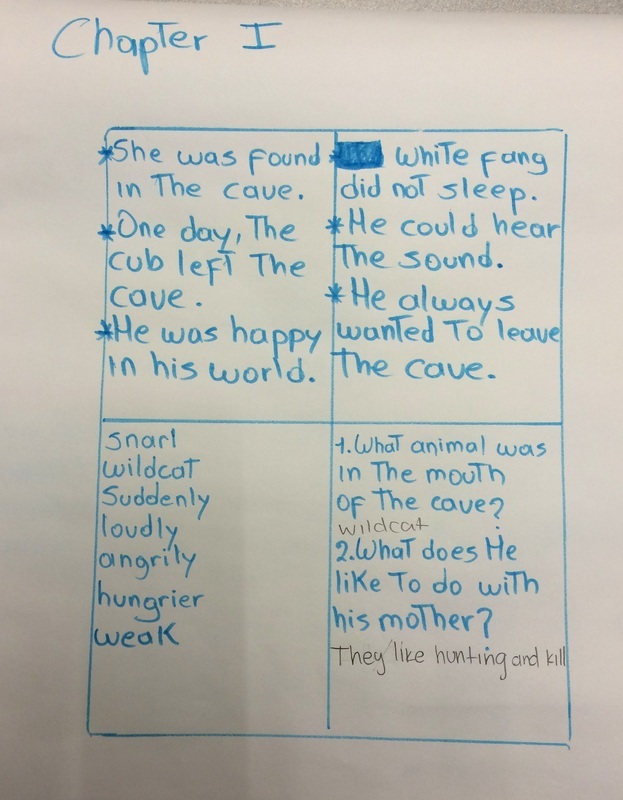 These are some examples of their writing. 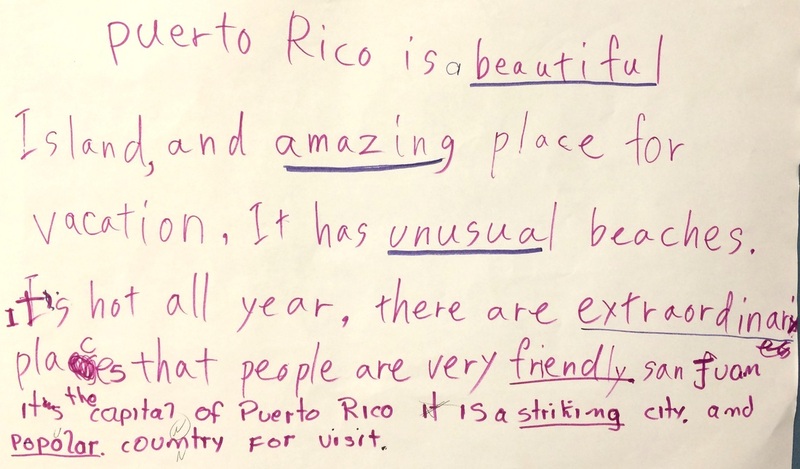 To practice using descriptive adjectives, students collaborated to write travel guides for various countries and cities. 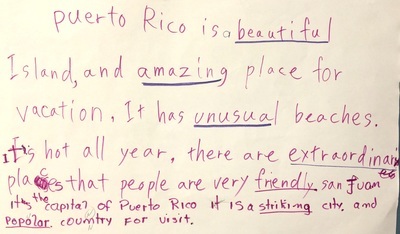 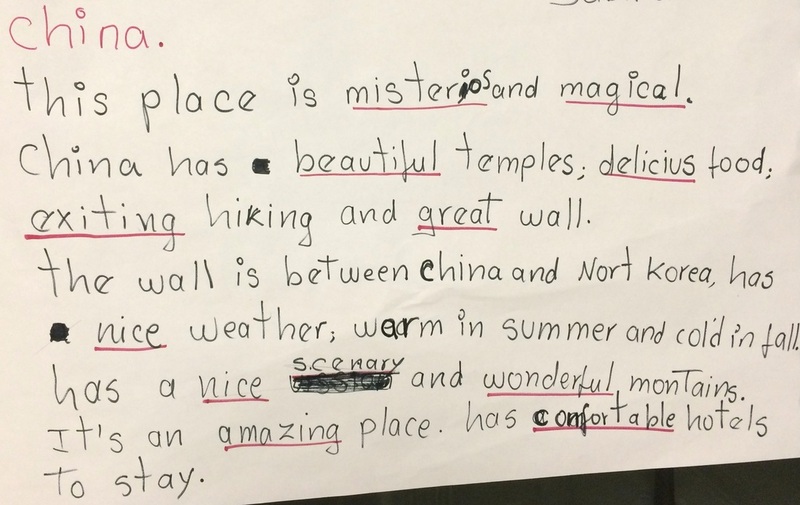 Using authentic materials, such as Lonely Planet travel guides and travel websites, students used descriptive adjectives to describe their locale and persuade their classmates to visit.